This well-balanced sauce is made with cauliflower, carrot, sweet pepper, fennel and onion, turnip and red chard, with ginger and a touch of fresh chilli. 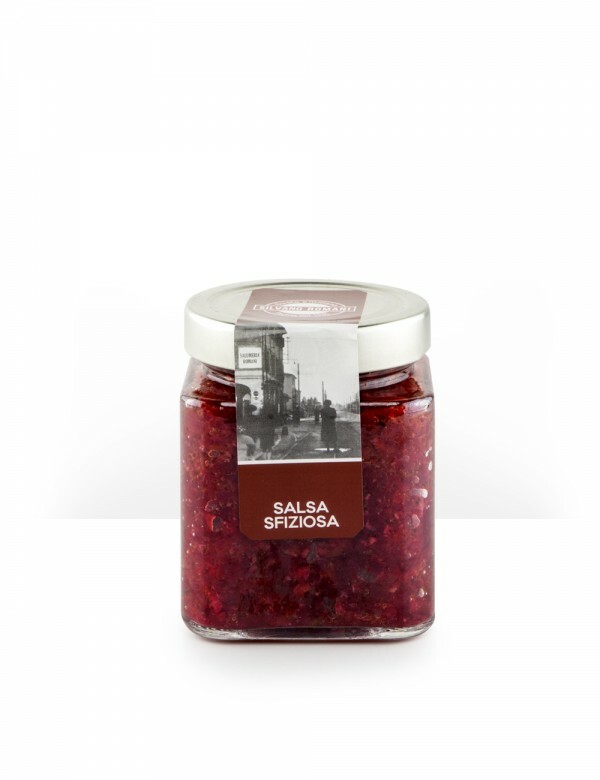 It's ideal with white meats, cooked sausages and cotechino and goes well with gourmet sandwiches and burgers. This particularly delicious sauce is made with cauliflower, carrot, sweet pepper, fennel and onion, turnip and red chard, with ginger and a touch of fresh chilli. It's the ideal accompaniment to poultry such as boiled capon or chicken or simply grilled chicken breast; excellent with cooked sausages and cotechino and a fabulous partner for gourmet sandwiches and burgers. The sweetness of turnip and red chard, backed by ginger and a hint of chilli is also a great match for oily fish, fresh tuna and mackerel. Ingredienti: rapa rossa, carote, peperoni rossi, peperoni gialli, cavolfiori, finocchi, cipolla bianca, sedano, zenzero, aceto, acqua, zucchero, sale, olio extra vergine d’oliva e olio di semi di girasole.